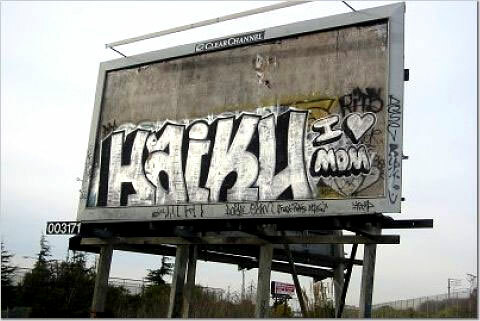 Does it sound too grumpy if I just say that I really, really, don’t like haiku? 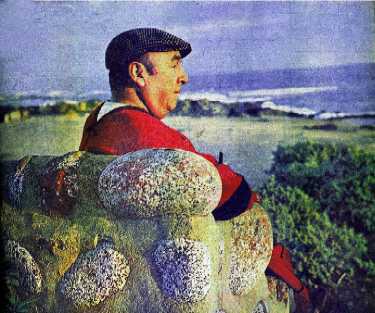 I’m not all that wild about any kind of poetry, actually, with the possible exception of the work of Pablo Neruda. A Freakin' Genius. Neruda makes my toes curl…in a good way…especially when his words are read aloud, by a low-timbered voice, in the original Spanish. Toes curling yet? You don’t catch Pablo writing 5-7-5 verse. His longer poetry might cross over the line towards prose, but it’s not three lines guided by syllables. One thing I’ll say for Haiku – it’s democratic. Correct me if I’m wrong, but as far as I know there aren’t even any rules about using subjects and nouns, or even meaning anything. Anyone can write with such a formula – I imagine that’s why it’s such a staple in elementary school classes, and amongst people like me who can’t (or won’t) write poetry except under duress. So for all the grumpy-pants curmudgeonly cranks out there like me, I suggest going onto the Genuine Haiku generator. One click and you, too, can create an original cyberpseudopoetic masterpiece. Oh...and Feliz Cinco de Mayo!!! :) All of it, great. Goodness! It seems like somebody is channeling their inner Stella! 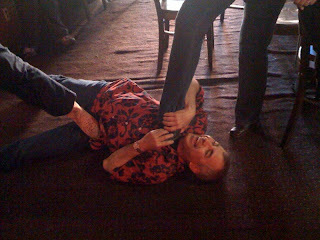 Of course, given what happened in that bar, I'm hesitant to say anything other than great job, or else wind up at the wrong end of a pool cue myself! But any day that starts with Pablo Neruda is a fabulous one, so thank you!